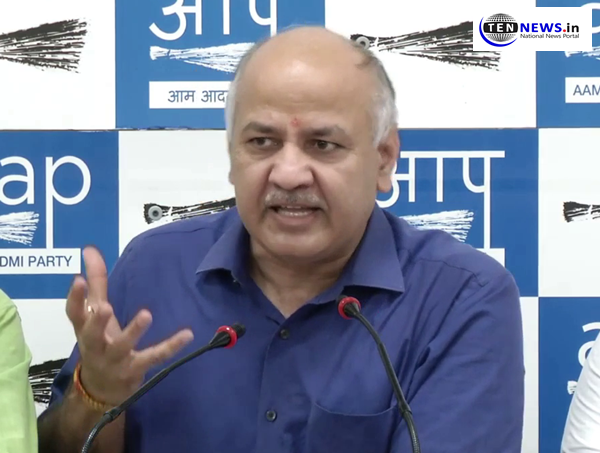 New Delhi : Deputy CM Manish Sisodia today accused the Centre of bypassing the Delhi government in conducting a sealing operation in Mayapuri area that led to violent clashes between the traders and the security personnel. Lashing out at Union Housing and Urban Affairs Minister Hardeep Singh Puri for blaming the Aam Aadmi Party government for the violence in west Delhi, Sisodia said that the responsibility of land allocation was with the Centre. “Delhi police is yours, SDM is yours, NGT is yours, DDA is yours and we are blamed. They should have some shame and take accountability for their actions,” Sisodia told reporters. Delhi Environment Minister Imran Hussein said he was not consulted before taking action. “I am going to write to the LG demanding explanation for his actions,” Hussein said. “Officials (involved in the sealing drive) must be suspended. DPCC employees were involved too. I am the environment minister… no approval was taken from me. Strict action would be taken against all officials involved,” Hussein added. Sisodia said if the Delhi Development Authority (DDA) was brought under the purview of Delhi Chief Minister Arvind Kejriwal, then they would “get the land allocated to these traders in two days”.